Language impairment in childhood and adolescence: presentation, diagnosis, assessment, and empirically validated treatment. As many as half of children and adolescents presenting for mental health services have language impairments, often undiagnosed. 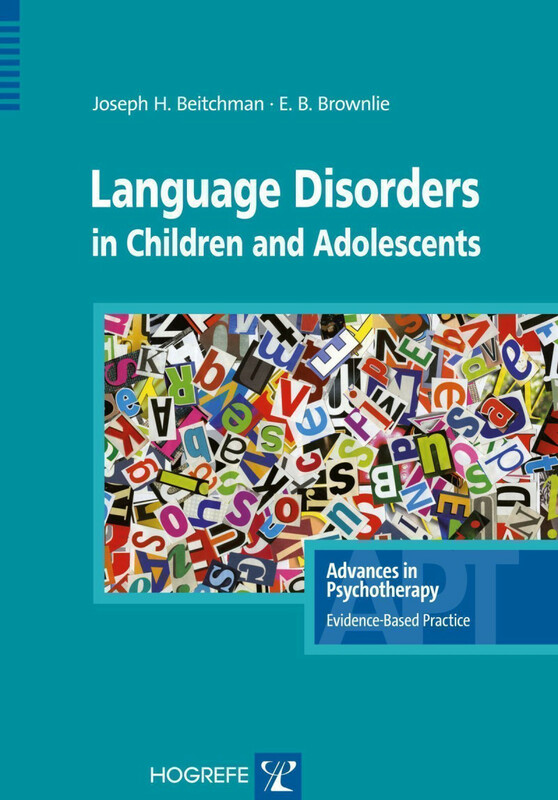 This book offers a clear and comprehensive description of language impairment emerging in childhood and its implications for clinical practice with children and adolescents. The book is filled with many clinical pearls and examples of the way language impairment impacts on the child's symptom picture and influences treatment. After discussing ICD-10 and the new DSM-5 criteria, it provides the reader with an easy-to-follow plan on how to conduct the assessment with the child and parents, and the steps to take in initiating treatment. Unique modifications to empirically validated treatments are recommended for language-impaired children with comorbid anxiety or disruptive behavior disorders. Anyone who works with children and adolescents will benefit from this book. "Given the extensive, pervasive impact of language disorders on so many domains of development, it is clear that this is a topic that affects professionals in a number of fields.Language Disorders in Children and Adolescents is a book that bridges the differences in these various fields by offering relevant, accessible information. Psychologists and researchers will appreciate the firm empirical grounding laced throughout the book, and practitioners will welcome the straightforward presentation of the most importantinformation in a readable, relatable format that can be easily referenced. There are a number of key features that make this book a valuable resource. "First, the breadth of information available in this concise book is extraordinary. "Second, the book is clearly written for practitioners and lends itself nicely to applied use. "Third, Beitchman and Brownlie provide a number of valuable resources in the appendices. "Language Disorders in Children and Adolescents is a clear, concise, practical guide that is useful to clinicians in a number of fields. It could be used as an introductory tool for undergraduate or graduate students, or for new professionals in the field of speech pathology. It would also be ideal as an overview of language disorders andReferences related issues for professionals in early childhood education, special education, psychology,mental health counseling, social work, or even relevant medical fields [and] to parents or family members of a child with a language disorder. "Beitchman and Brownlie have achieved an admirable balance between introductory text and practical reference guide by providing a resource that adequately summarizes existing literature, outlines the present stance of the field, and provides tools to continue moving forward." "As part of the series "Advances in Psychotherapy: Evidenced-Based Practice", Joseph H.Beitchman and E.B. Brownlie's new book provides a fresh perspective on the evaluation andpsychologically-based treatment of children and adolescents with atypical language development. The book is organized into four sections, with the first and last providing the greatest depth of information: (1) description, (2) theories and models of language development in children and adolescents, (3) diagnosis and treatment indications, and (4) treatment. Each section flows logically and builds upon previous topics to provide a thorough overview. The authors explore each of these areas in a creative manner, providing an excellent resource for review, quick reference, or use in supervision of trainees or students. Not only is this book highly recommended for use in clinical supervision at the graduate student or intern level of training, it also promises to be a regular resource for trainees or independent practitioners." "A new book in the Hogrefe series on Advances in Psychotherapy... It is written in a “reader-friendly style” and clinicians [...] will certainly appreciate the discussion of the impact and significance of DSM-5 and ICD-10 diagnostic criteria and the authors’ insightful assessment of methods of treatment. "In addition, because the material is presented without unnecessary specialized jargon, the book can also assist parents, care-givers, and teachers who seek core information on the complexities of language impairment issues." "[A] near definitive description of the various facets of language impairment... geared toward psychologists andothers with a mental health background, but anyone who works with children and adolescents would benefit from the wealth of knowledge in this book. I would not hesitate to recommend this as a supplement for a graduate course on child psychopathology, psycholinguistics, or formal speech pathology training. 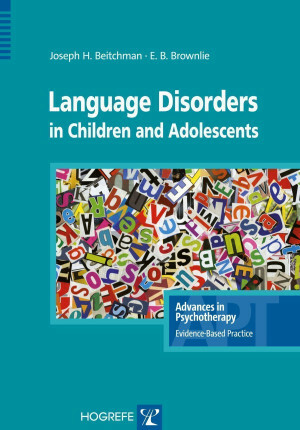 ... Theories and models of language disorders are covered from both normal and abnormal patterns along with discussions on parent-childrelationships, self-regulation, and social problems. Readers will appreciate the easy-to-follow plans on how to conduct assessments with the child and parents, and the steps to take in initiating treatment. An extensive set of treatment plans and modalities are discussed with a wonderfully balanced discussion on resistance, multicultural, gender, and social disadvantage issues." "This short book cannot be recommended more highly for a quick authoritative account ofdevelopmental language disorders and how to remediate them. "Free of jargon, the book provides a comprehensive overview of contemporary theory and practicein the field, discussing key issues such as the borderlands of language impairment, nomenclatureand co-morbidity as well as longer term outcomes. It proceeds to review the range of assessmenttools available for screening and assessment before describing in detail treatment approachestargeting language, behaviour, family relationships and emotional and behavioural symptoms. "The book is well organized... and can be highly recommended to all those concerned with languagedifficulties, including psychologists, psychiatrists, teachers and speech and language therapists, aswell as informed parents. Students will find it particularly helpful as an introduction to theory andpractice."